You might be familiar with high-intensity interval training or HIIT. This is one pattern of cardio exercise that incorporates rounds of high-intensity activity alternately with lower intensity activities as a pause of recovery. HIIT is used to cut the time of cardio training that feels boring in the gym. But, you can also use it outdoors, you know. 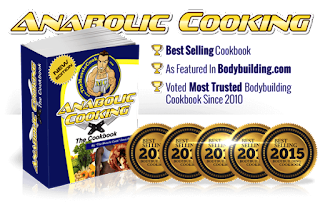 In addition, there are a number of fitness and health benefits that you can get from this one method. Anything? One standard for measuring cardiovascular fitness is VO2-max or maximum oxygen consumption. VO2-max describes the efficiency of oxygen distribution to your body's muscles. Like a machine for the body, the higher your VO2 capacity, the more efficient your energy will be. Now, a number of studies have shown that HIIT has been able to help improve and improve your VO2-max. In fact, relatively short HIIT results are similar when compared to longer and longer stable cardio with a low / medium intensity. Even though lower intensity cardio is proven to be able to burn lots of calories from fat, the total calories burned and broken fats actually occur more at high intensity. researchers from McMaster University who found that calories burned in 10 minutes HIIT were equal to 50 minutes of stable cardio. Another advantage of HIIT is its potential to increase post-exercise oxygen consumption. After exercise, your body's oxygen consumption will continue to increase to restore the body's physiological and metabolic conditions to pre-workout conditions. This triggers the burning of more calories. Not only that, HIIT also increases fat oxidation, which is the body's ability to break down and utilize fat as an energy source. Canadian researchers found that 6 weeks of HIIT helps increase fat oxidation and reduces dependence on carbohydrates during exercise. 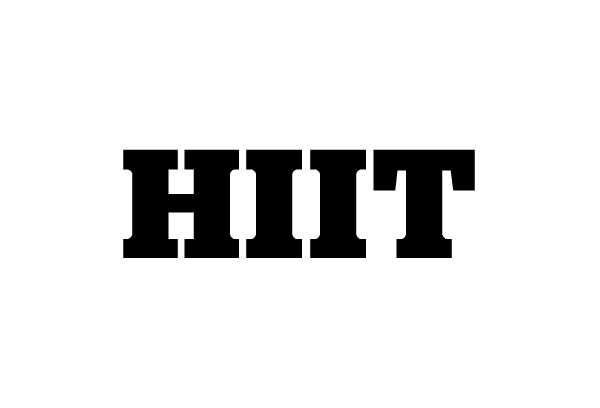 HIIT is not only suitable for those who are fit. Those with moderate and low levels of fitness can also get health benefits from this method, including people with heart disease and type 2 diabetes. Research published in Diabetes Care found significant improvements in glycemic control, body mass, and abdominal fat in type 2 diabetics who did HIIT for 12 weeks. Meanwhile, researchers from the University of South Wales in Sydney, Australia, found improvements in resting heart rate, stroke volume, blood pressure, and arterial hardness after 12 weeks of HIIT. So, you not only get a sexier body, but also a healthy body that is irreplaceable by anything. HIIT can improve your cardio performance and endurance. This is also useful for Bodyweight training, you know. You certainly are no stranger to burning in the muscles that are felt after making a number of sets of movements. This is actually caused by a buildup of hydrogen ions. This buildup can reduce your body's pH level, which leads to fatigue and muscle inability to contract. Well, HIIT turns out to be able to neutralize hydrogen ions that arise due to weight training. A study published in the European Journal of Applied Physiology revealed that with just 6 HIIT sessions in 4 weeks, you will experience increased neutralizing capacity in the skeletal muscles, slowing down the onset of fatigue, and increasing energy output. Do you like to ride a static bicycle in the gym for one hour without changing scenery? On the other hand, HIIT is more fun to do than stable cardio because it can be done in a shorter time. Minimal time commitment and better levels of enjoyment make it easier for you to continue to do this exercise program and get tangible results. 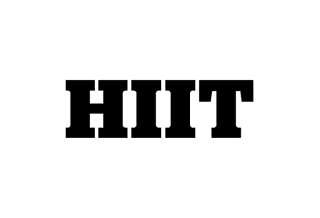 So, don't hesitate to include HIIT in your training program and get better fitness and exercise performance!